UVM students manage farm operations and perform all of the barn chores. There are currently over 100 milking Holstein in the herd with 48 cows being milked at any given time. It is one of the highest producing and genetically superior herds in Vermont. This spring and fall semester program offers 8 credits (4 per semester) to 13-16 students each year. Successful applicants are selected from all majors across the University and are not required to have a dairy or livestock background. The key requirements are a commitment to working hard and the thirst for knowledge. A CREAM student will leave this program with the skills necessary to excel in his/her chosen field whether that be business management, community development and applied economics, animal science, or biology. One student's documents her summer experience with the CREAM show team. Originally from Australia, Dr. Purdie worked on dairy farms in his native Queensland for nine years before he attended the University of Queensland and received his Bachelor of Agricultural Science degree with first class honors and a Ph.D. in nitrogen metabolism in the dairy cow. He has worked in dairy systems in Australia, New Zealand, Canada and the United States. His aim with the UVM CREAM program is to make it the preeminent experiential learning experience in North America, teaching students valuable dairy and life skills by getting their hands and boots dirty. CREAM stands for Cooperative for Real Education in Agricultural Management. CREAM is a program in the College of Agriculture and Life Sciences (CALS) at the University of Vermont. CREAM places emphasis on experiential learning to develop interpersonal, teamwork, and practical problem-solving skills. What will students gain with their CREAM experience? • Hands-on experience with large animals and dairy herd management. gain leadership, communication, problem solving, and team skills that will give them an advantage in their careers and make them more valuable to future employers. To be an economically sustainable learning enterprise within the College of Agriculture and Life Sciences at the University of Vermont. To improve the economic performance of the CREAM herd through high quality milk production and the promotion and sale of high quality purebred stock. To achieve continuous improvement in the critical production/performance metrics. To be internationally recognized through the success of the program. In June 2010, the University of Vermont announced that it would be selling its dairy research herd. These 255 Holsteins were later sold to a private bidder and are slated to leave the UVM farm by early autumn. However, this sale does not include the CREAM herd. The 65 animals owned by the UVM CREAM program will remain on the farm and CREAM will continue to operate for years to come. The sale of the dairy research herd has been featured in several news reports (many of which incorrectly infer that the CREAM program will be directly affected by the sale). 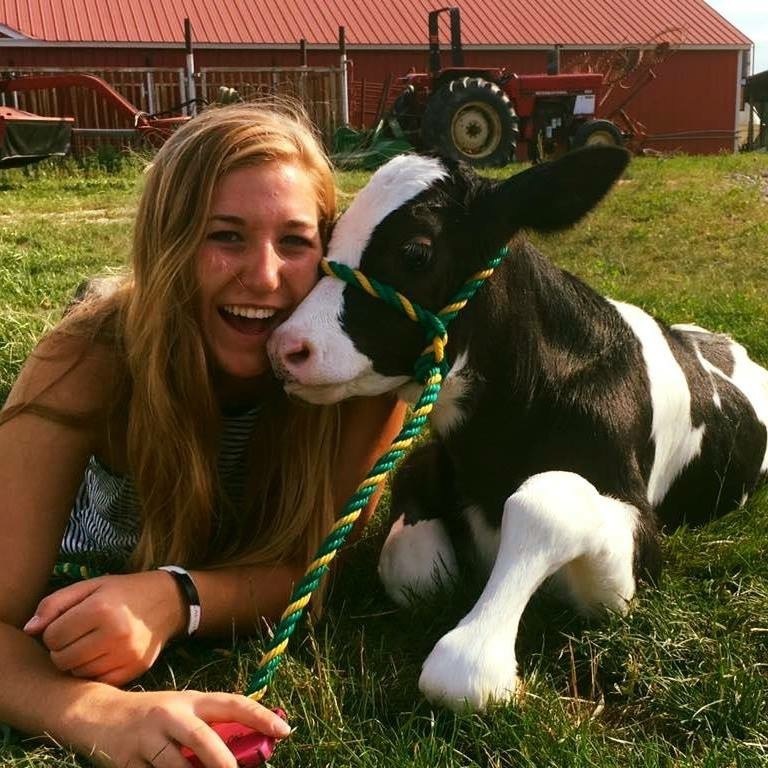 While CREAM students are grateful for the publicity afforded to the program by these news reports, we would also like the public to keep in mind that the CREAM program will continue to thrive even when the UVM Holsteins leave the farm.